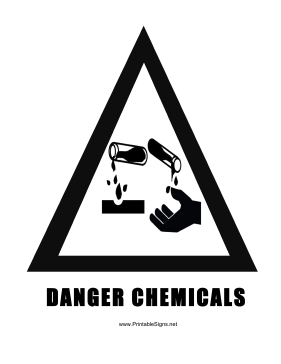 This printable maritime sign lets users know that dangerous chemicals are present. Such chemicals can dissolve or destroy equipment, clothing and skin. Therefore, people should use caution and wear protective gloves and eyewear.